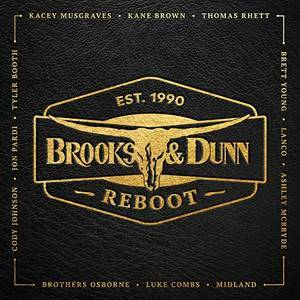 Reboot is a brand new album from Brooks & Dunn, featured new reworks of their biggest songs, in collaboration with some of today's biggest artists. The featured artists include lots of Chris Country favourites, from Thomas Rhett to Kacey Musgraves and Luke Combs to Midland. And, we've got a pile of CDs to be won! For you chance to win a copy of Reboot, answer the question below, and keep your fingers crossed! Good luck from Chris Country! What are Brooks & Dunn's first names?